Hello to you! Well, it's late on Sunday night and I'm assuming you're all done with your Christmas feasting, perhaps popping your belt buckles or slipping into a food coma. If my Facebook and Instagram feeds were anything to go by, it's been a big day of food and family! I also hear it's kinda hot in Australia at the moment, amirite? Anyhoo.. as I've mentioned before, we did our family's big Christmas lunch a couple of weeks ago, before we came to Germany. Let's take a look! Let's start with the pudding. Every year I mean to get organised and make it in advance - at least a week, possibly a few months - but mostly I just forget until the last minute. 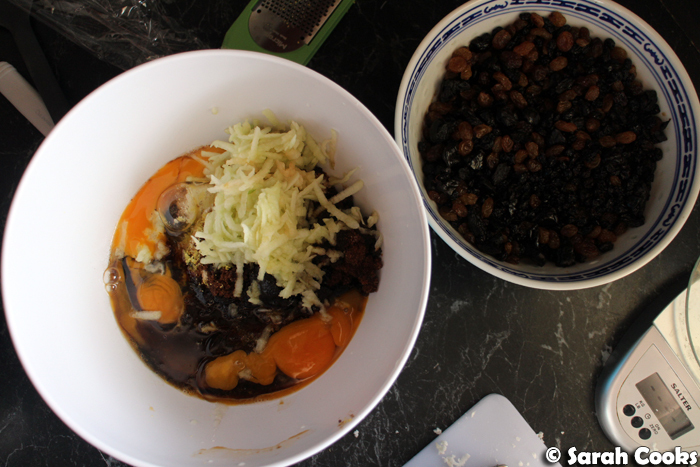 (Except in 2011, where I made two puddings and froze one for the next year). Anyway, this time I actually made it super last minute - I made up the batter the day before, and steamed it while we were eating Christmas lunch the next day. I was worried that with only one steaming, and no maturation time, it might taste weird, but it turned out delicious! Hooray! I got some suet at Rendinas Butcher on the day I made the pudding. Luckily they had some (I'd been to another butcher the day before and had no luck), and even better, they kindly gave it to me for free! 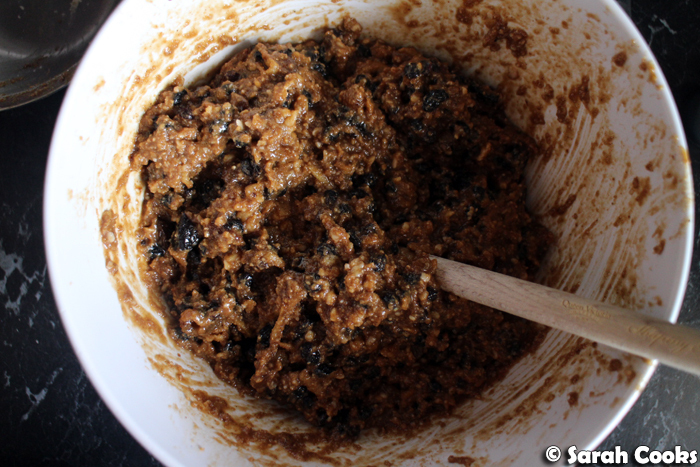 I Googled around, and apparently you can make Christmas pudding with cold grated butter or vegetable shortening, (my backup plans), but I'm told that suet gives the best result. 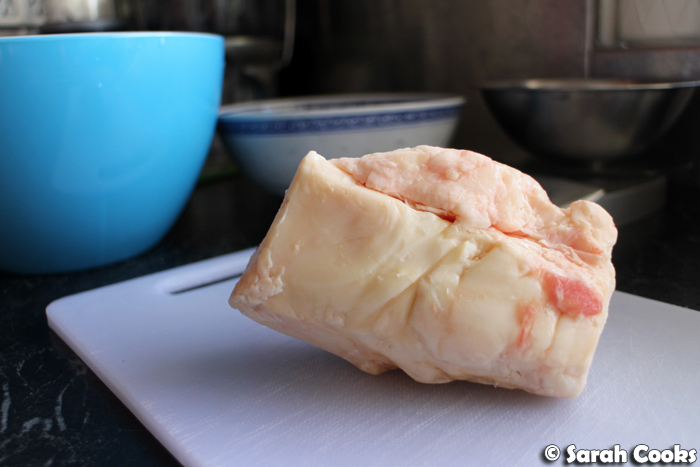 The melting temperature of suet is higher than the other fats, so it takes longer to melt. 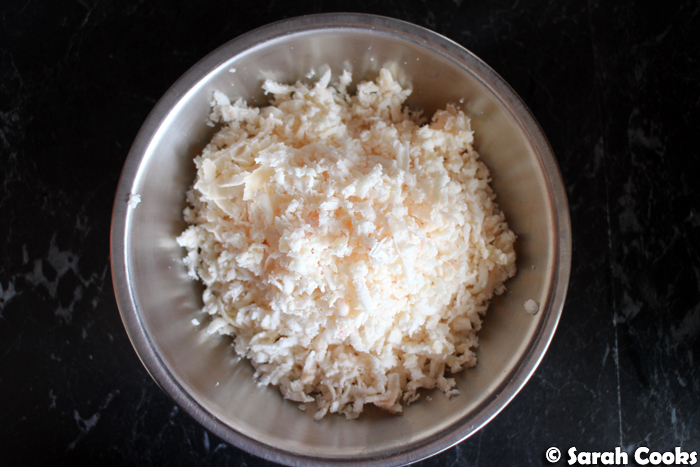 By the time that the grated suet melts, the batter will have already begun to set, leaving little air pockets in the batter and giving the finished pudding a light and spongy texture. Here's what it looks like grated up. 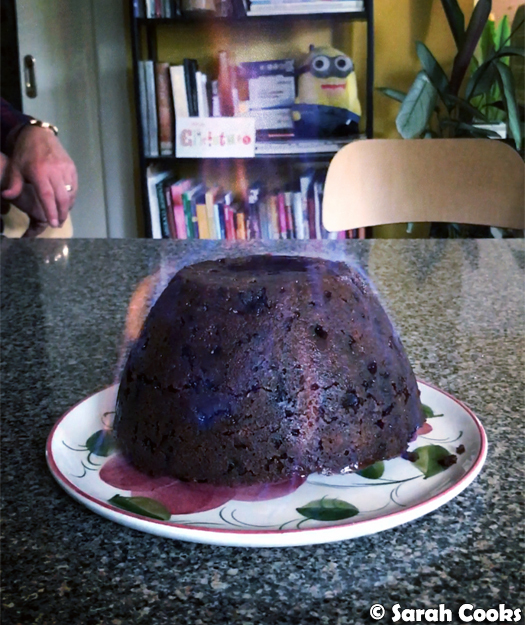 As usual, I use Nigella's Ultimate Christmas Pudding recipe, for utter perfection. 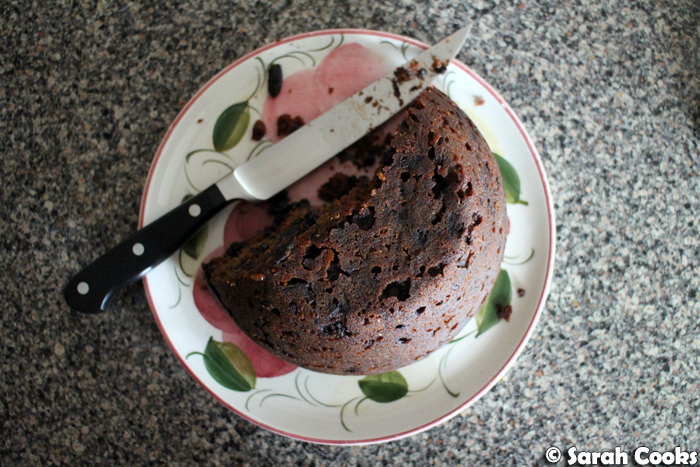 Even the batter smells good, with its Pedro Ximinez-soaked dried fruit and generous spices. Okidoki, let's look at the lunch itself! 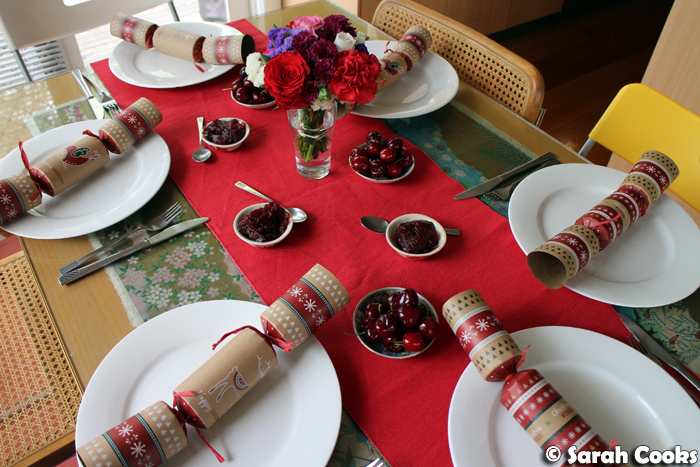 We rocked up at my Dad's house late in the morning, Sandra set the table, and we got to work putting lunch together. 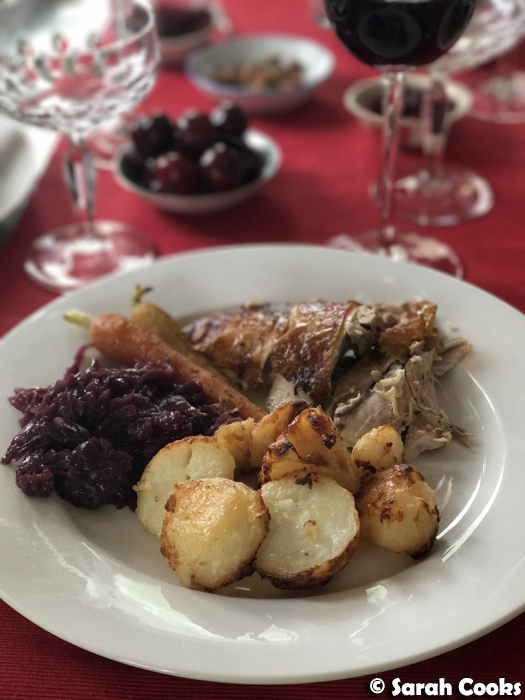 As you can see, this is our traditional and much-loved Christmas lunch - Gordon Ramsay's turkey, goose fat roast potatoes, red cabbage and a vegetable side. This year it was roasted carrots. 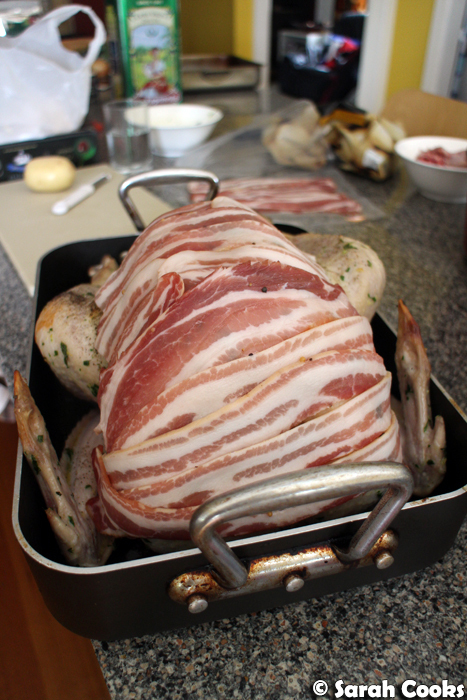 Bacon blanket for the turkey breast! 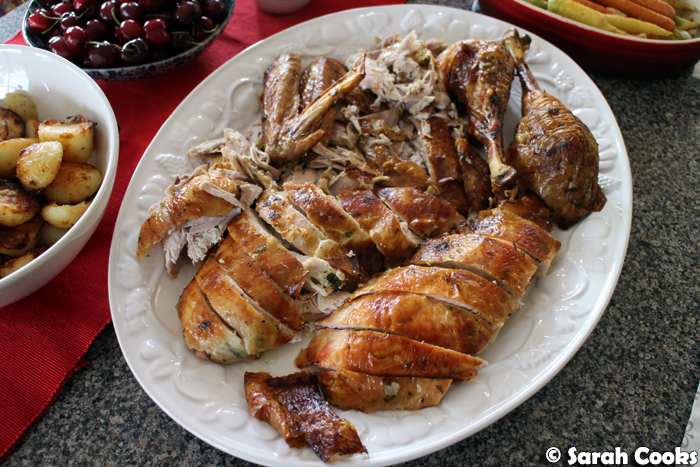 My turkey-carving skills are surely improving. Woop woop. Here are the potatoes! As you can see, some of them are a little pale. I forgot to bring the semolina with me, and I think the potatoes were a little overcrowded in my baking tray. Never mind, they still tasted good. 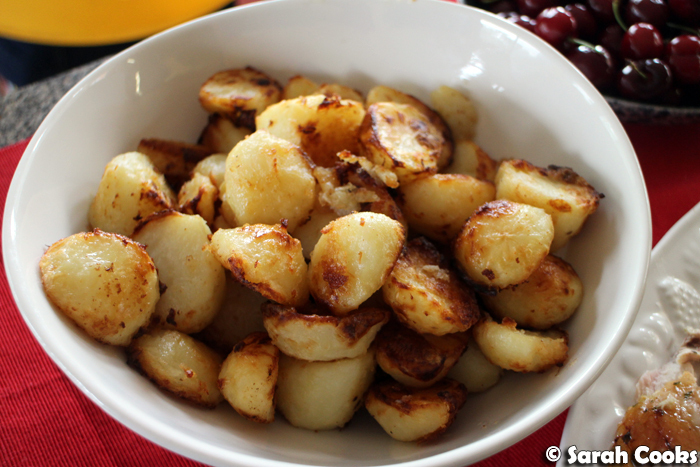 (And on my second, small Christmas lunch, you'll see that I made sure they were semolina-dusted and super crispy). 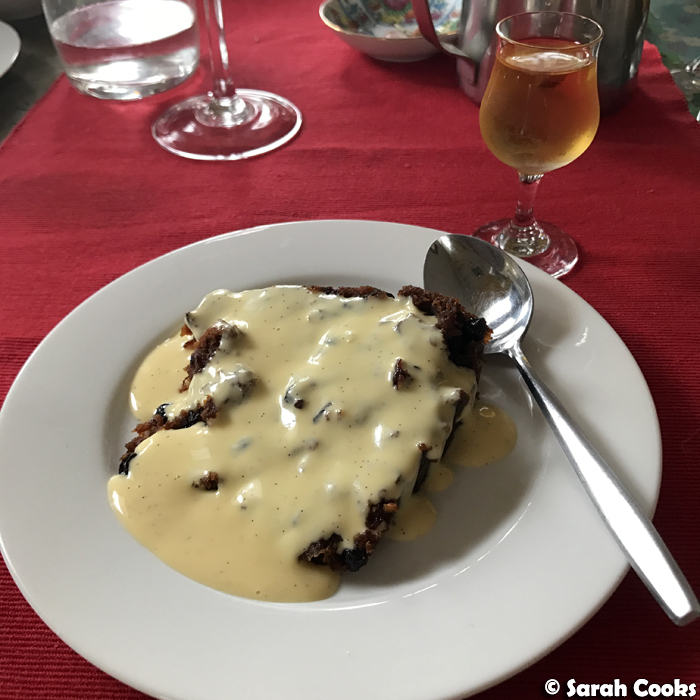 I absolutely love Christmas pudding - and I see no reason to try to find a more crowd-pleasing dessert for the big day. Pavlovas, fluffy sponges and chocolate puddings are all well and good, but for me, the proper Christmas meal must have pudding. 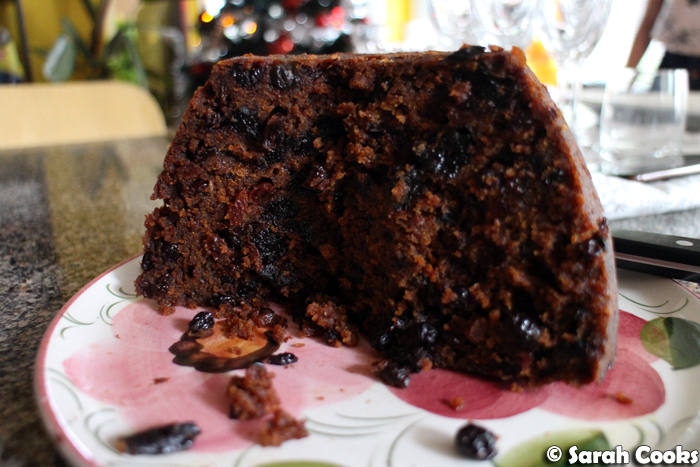 Nigella's ultimate Christmas pudding is my favourite one - both rich and light, super moist and gorgeously aromatic. 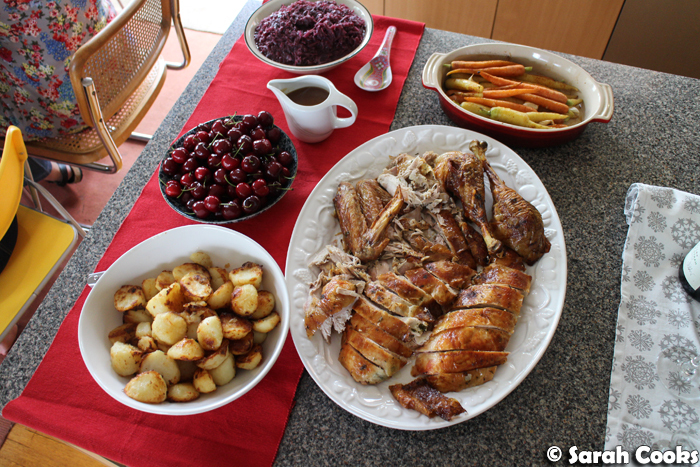 I don't want to wait until next Christmas to have this again! (We had some leftover and it was just as good microwaved in individual slices for an absolute treat of an afternoon tea). Although I must admit, for some people, the highlight of the Christmas meal isn't the pudding, but rather the vanilla custard. Ahem.